During the summer, the temperatures go up and the humidity does not help, making cooking in your kitchen a painstaking chore. You can only order out so many times before it becomes expensive and unhealthy. Hearty dinners are important for you and your family, so you want something quick, easy, and delicious. Bisto is here to help! Located in our gravy section are a few little gems called Ahh! 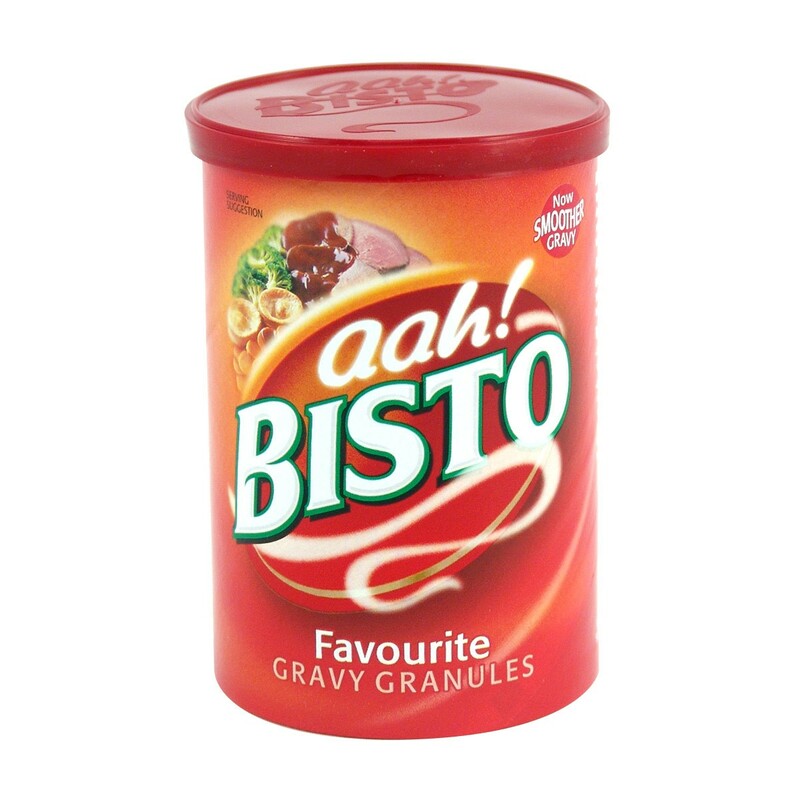 Bisto!, or affectionately called Bisto, the gravy mix loved by millions of people in the UK. These tins contain tiny little granules that easily turn into flavorful gravy for your Sunday roast, mashed potatoes, or other meats. Bisto was first made in 1908 when two men named Mr. Roberts and Mr. Patterson were asked by their wives to come up with a way to make smooth gravy in less time. The name Bisto came from the gravy’s unique ability to “brown, season, and thicken” in one. When making a delicious Sunday roast, Bisto has been the staple for generations. Enjoy with classic roast beef or intensify your Shepherd’s Pie! When chicken is made, Chicken Bisto can be used with some potatoes and seasonal vegetables. Chicken is sometimes cooked for a Sunday dinner or at any time during the week. 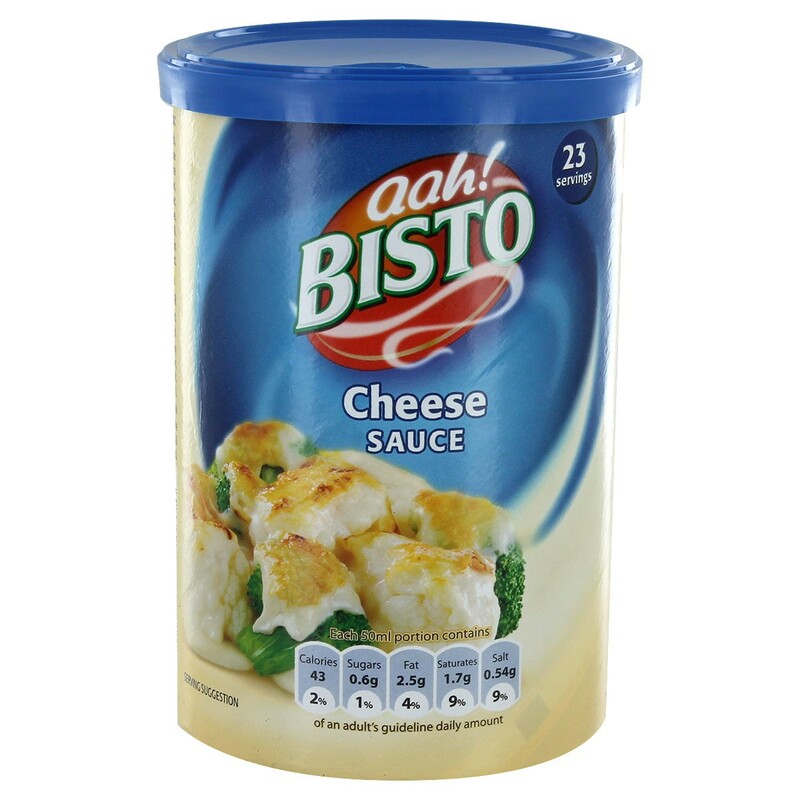 Not only does Bisto make gravy, but they also make some delectable sauces, too! Try their cheese sauce mix! The container calls for 4 heaped dessert spoons (or about 8 dry teaspoons) of the mix and 250ml of water. Mix together and you’ve got some of the best cheese sauce around! Enjoy with brussel sprouts, in macaroni and cheese, or classic cauliflower cheese!